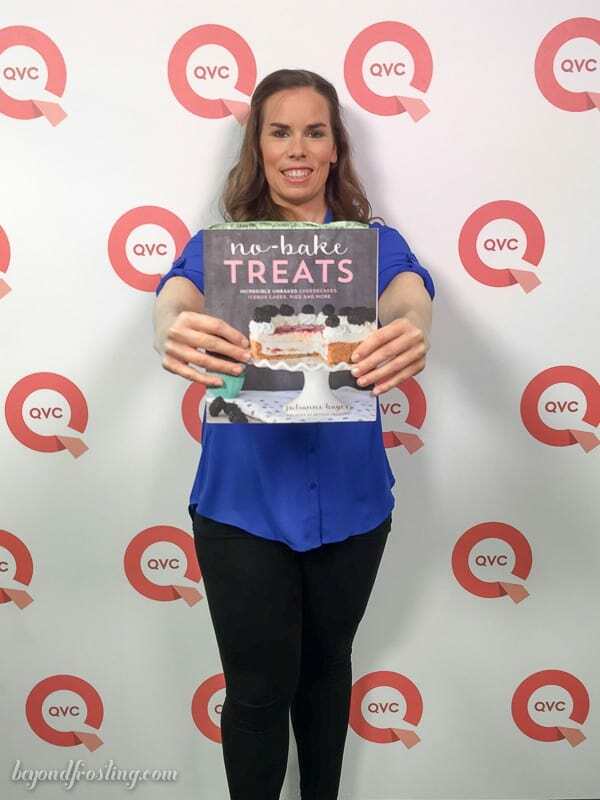 Get all the behind the scenes highlights from my appearance on QVC featuring my cookbook No-Bake Treats and don’t forget the pre-order giveaway! 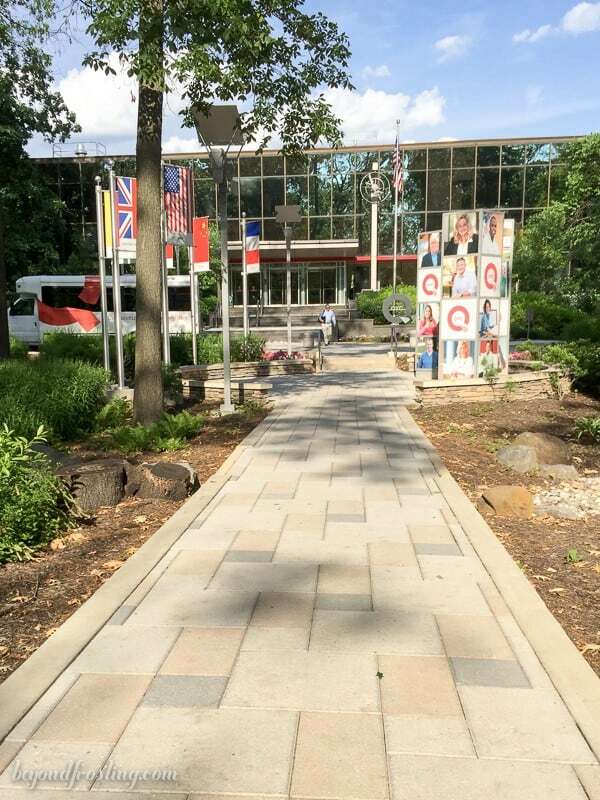 I’ve been wanting to share the details of my trip to QVC with you guys since the day I got home, but then I had some serious jetlag, my dad came for a visit and now it’s a holiday weekend. Life never seems to slow down. Anyhow! 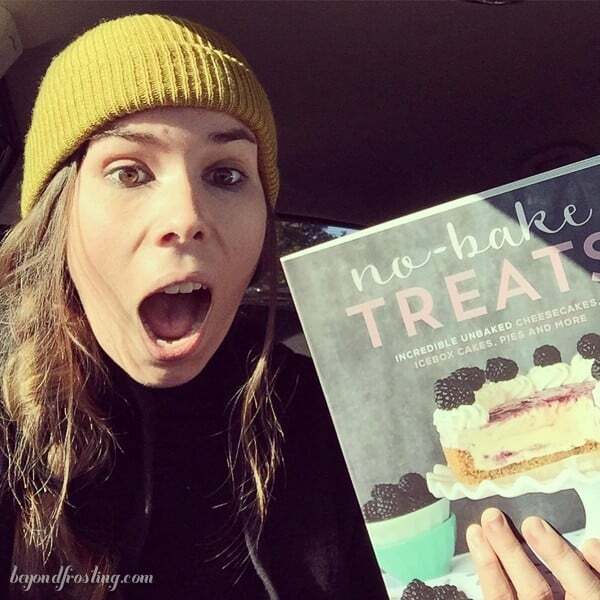 Can you believe there’s only 2 weeks left until my cookbook No-Bake Treats is officially released?!!? I can’t even begin to tell you guys how excited I am to finally share it with you!! Some of my blogging pals have already received advance copies. As you know, I spent an entire year working on my cookbook, 6 of those months were spent developing, testing, photographing and writing the actual recipes. Then a couple months of edits and these last couple months have been waiting and waiting to share it with you as it prints. This was the first time I held the book in my hands. No-Bake Treats includes 80 new and unique recipes that don’t require you to turn on the oven. You’ll find icebox cakes, layered desserts, ice cream, cheesecakes, pie & tarts, parfaits and more. You can read more about it in my pre-sale announcement. 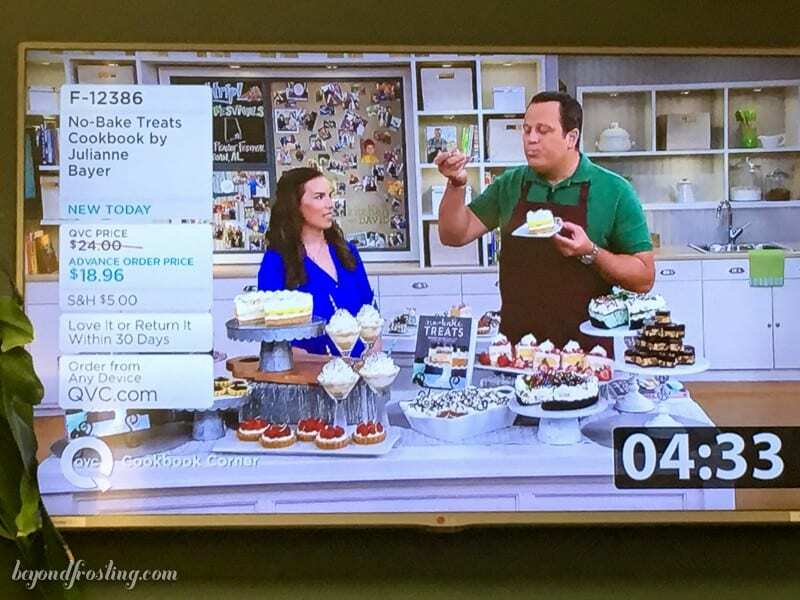 I have been overwhelmed by the positive responses I’ve received about my cookbook and the QVC segment. 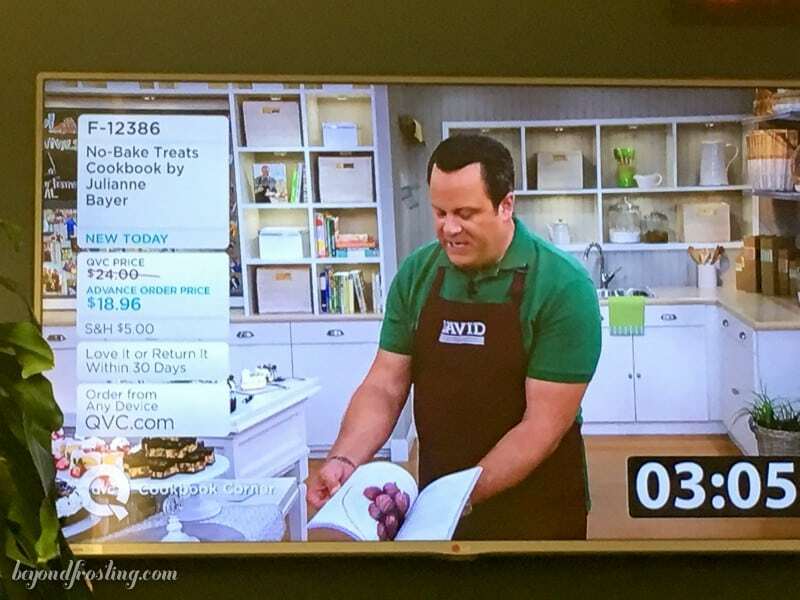 I poured my heart and soul into this cookbook and to see people responding to it so positively, and perform so well on QVC is quite simply one of the best feelings in the world. 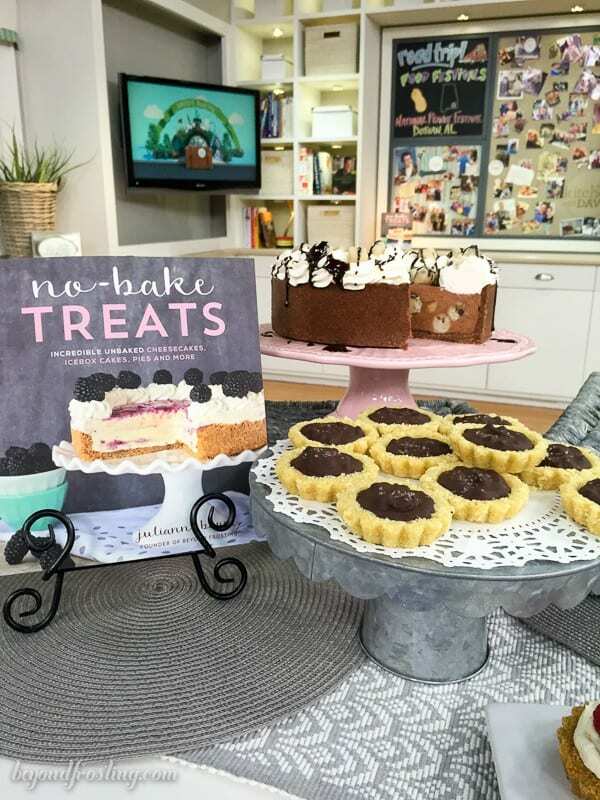 If you haven’t pre-ordered your copy yet, you can find links below to purchase and if you have already purchased a copy, be sure to enter the giveaway at the bottom of this post for the Wilton No-Bake prize pack! The giveaway closes July 18th. Plus you can also sign up to get a personalized bookplate to stick on the inside of your book! Amazon , Barnes and Noble , Indie Bound, Books- A- Million and wherever books are sold. Okay so a few months ago, I found out that QVC wanted to feature my book. I found out when I was driving to work and immediately called my boyfriend to tell him. I yelled, “can you freaking believe it?!”. I was SO excited, but I didn’t want to tell anyone until I knew it was a real thing. 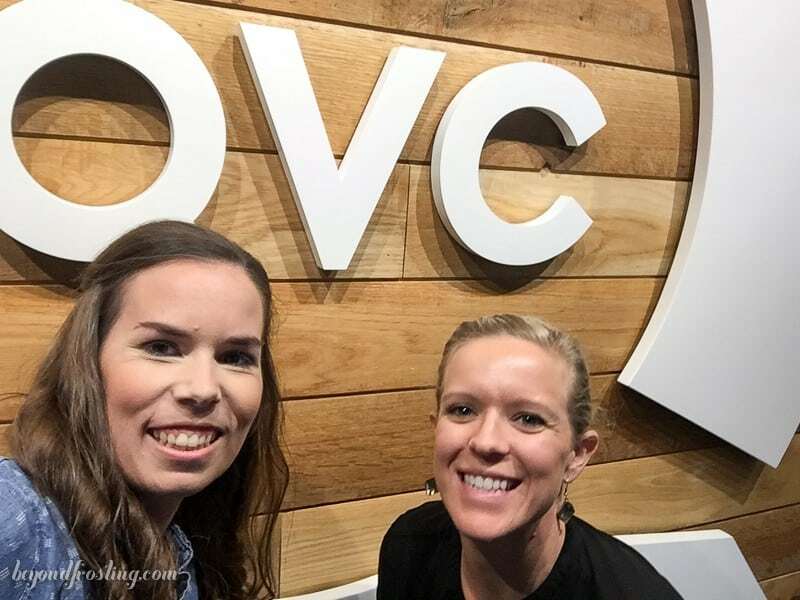 Back in May I traveled to the QVC studios to attend a training class where they talk about tips for selling your product. It’s a full day of exercises and some actual on camera time where you do a mock selling. After each session they give you pointers on how to improve and try it again. 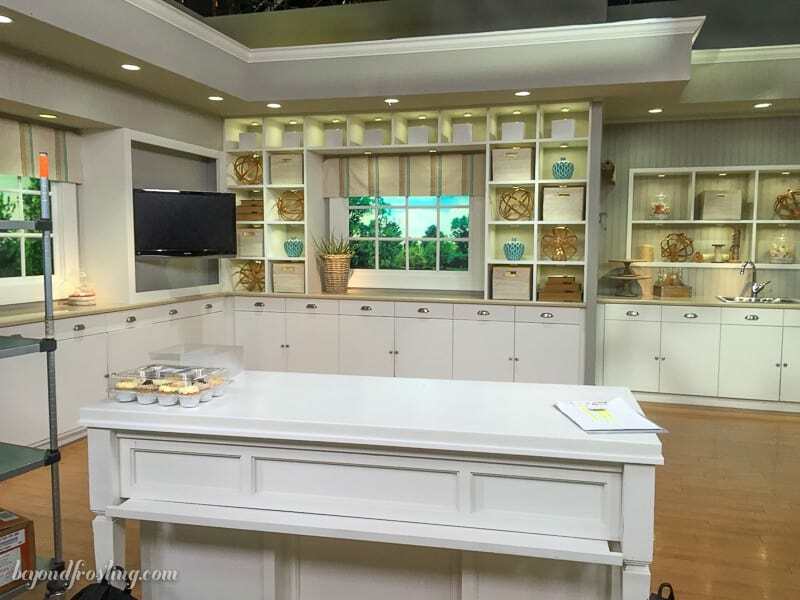 I also got a tour of the kitchen and behind the scenes look at the studio setup. This was so key for me, because I am a very visual person, and so I knew what my setup would be when I returned. Then I had three weeks to obsess my outfit, practice my comments, study up on episodes of “In the Kitchen with David” and convince myself I was actually going to be on national TV. When it came time for the actual day, I was definitely nervous, hoping that I wouldn’t trip, or that I wouldn’t just clam up when the camera came on. I wanted to be interactive and be able to talk about the desserts on the table. 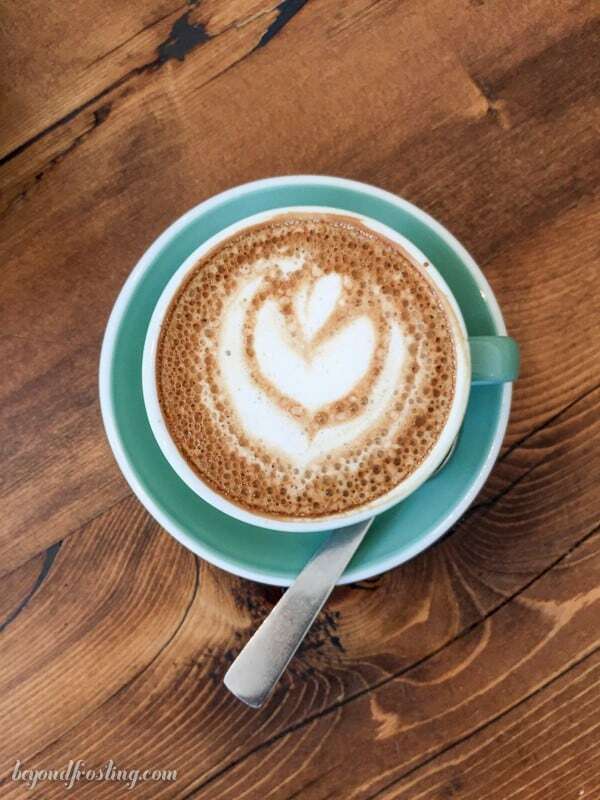 Luckily, I got to meet up with my pal Allie from Baking A Moment for some coffee and lunch. Allie has done lots of TV segments and gave me some pointers. I always love seeing my blogging pals. 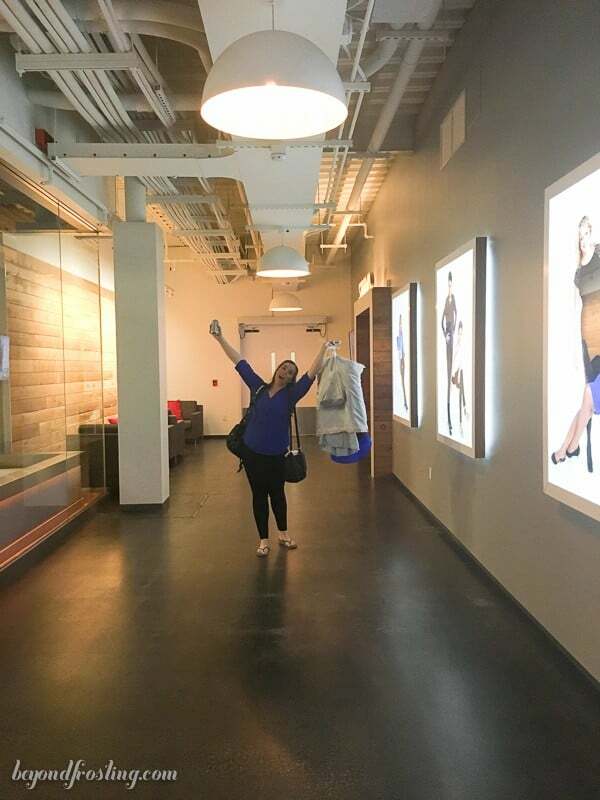 I arrived at the studio quite early because I needed to meet with David before he went on air. Luckily, my college roommate Carly drove down from New Jersey to hang out in the green room with me. She was such a trooper, helping me with last minute practice and making sure my hair and makeup were on point. I did go to the salon early in the day to get my hair and makeup done, and then they touch you up before you go on air. David is so amazing, I secretly hope we’ll be best friends for life. He’s super tall, very friendly and boy does he love dessert. A lot of you have asked if I actually baked all the desserts that you saw. 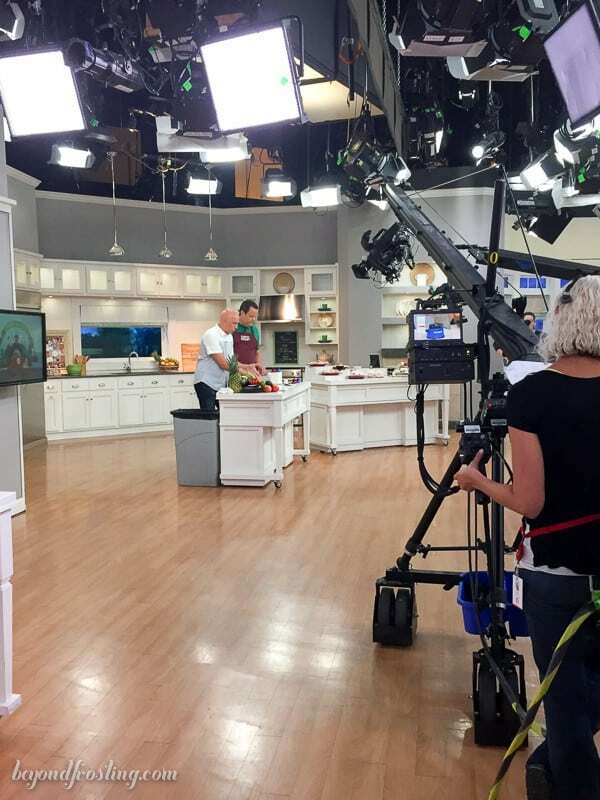 I worked together with the culinary team at QVC to pick the recipes prior to the show. 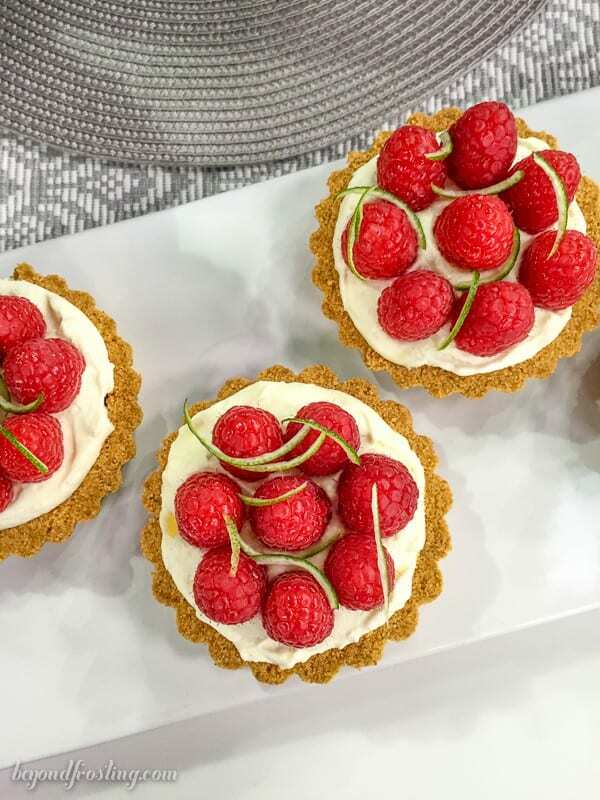 However, it was the food stylist Jeri and Bonne who did all the behind the scenes work preparing the desserts and styling the table. They did such an AMAZING job!! I told Jeri that I liked hers even better than some of mine that I did in the book, haha! 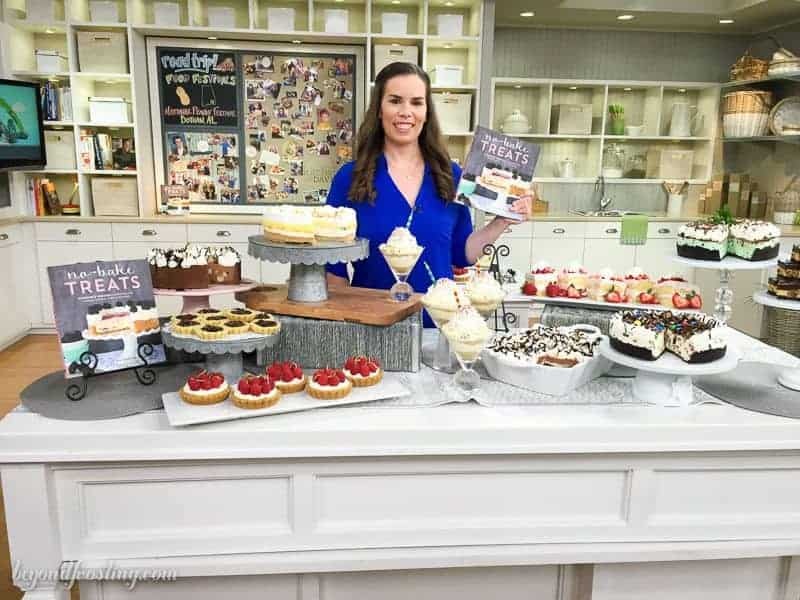 The recipes featured include: Chocolate Cookie Dough Cheesecake, Banana Pudding Cheesecake, Salty Bacon Potato Chip Tarts, Birthday Cake Cream Pie Parfaits, Raspberry Margarita Cream Tarts, S’mores Lasagna, Strawberry Short Cake, Candy Lover’s Ice Cream Pie, Grasshopper Pie & Peanut Butter Cheesecake Bars. As the time passed, I found myself becoming more and more nervous. Finally it was time to mic up and head out on set for the teaser. The problem with the live set is that I never knew which camera to look in. I have to hand it to the hosts, they do SUCH an amazing job. So even when I thought I was looking into the camera, I was looking into the wrong one! Then I stood on the sidelines as they did the segment right before mine and before I knew it, it was time to go on! Holy cow! Once I got out there they announced 500 books were already sold. David introduced me and my book, then he tried the first dessert, which is also a favorite of mine. That’s the Banana Pudding Cheesecake. I got my first happy dance! Woohoo! My segment FLEW by because everyone was buying up books left and right. All the sudden we were half gone, and we had hardly tried any desserts. Next thing I knew it was “last call” and we got in some last minute desserts before it was over. You guys, it was less than 6 minutes and I sold over 4K books!!! Thank you so much! Once you’re done you’re done and take off your microphone and head home. I was seriously on cloud 9 looking through all the text messages and Facebook posts from everyone who had watched it. In case you missed it, you can watch it on You Tube, thank goodness! When I eventually got back to my hotel I watched it on my phone and I just couldn’t stop smiling. I didn’t trip, I didn’t clam up and I sold out so quickly. All in all it was a great success! 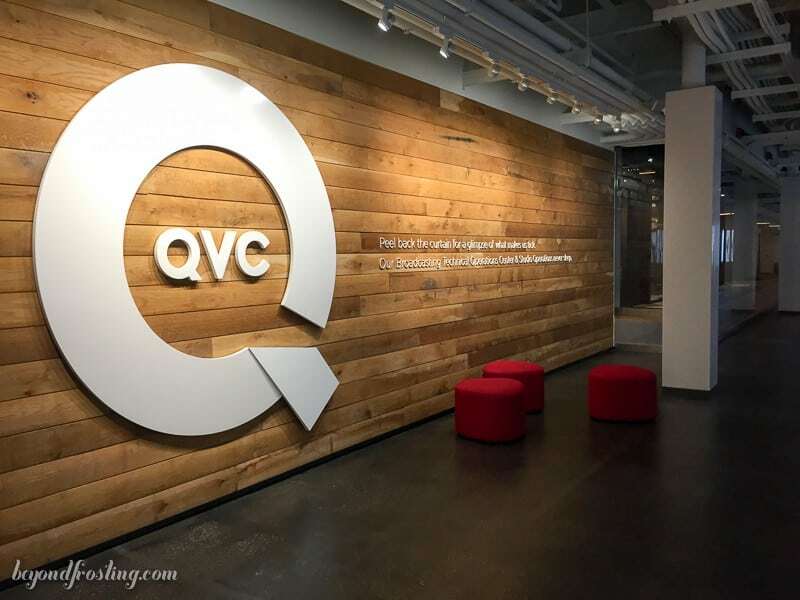 I owe it all to the hard work from my publisher, Page Street and the team at QVC who went out of their way to ensure I felt comfortable and was successful as well. This was such an amazing experience and I would do it over again in a heartbeat! 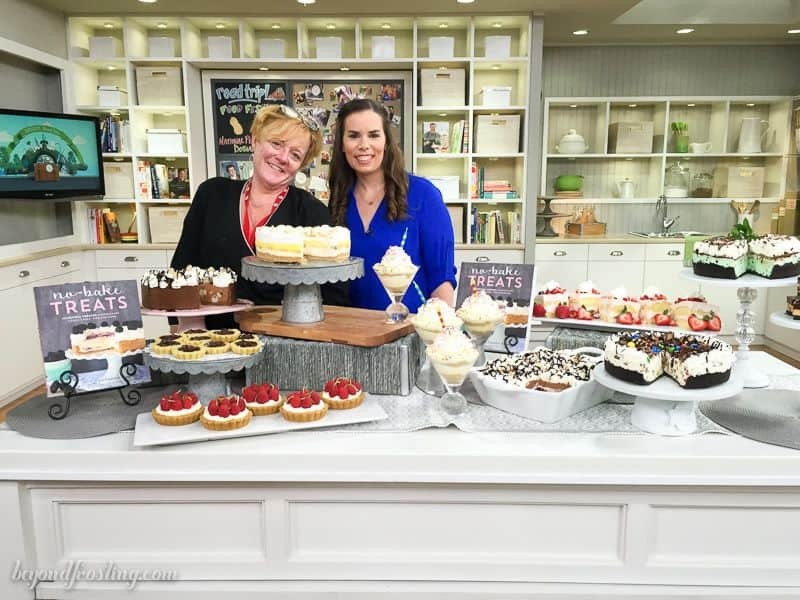 Don’t forget, if you preordered a copy from QVC, Amazon or any other online retailers, you can enter to win the Wilton No-Bake prize pack! Thank you to everyone who has supported me, purchased a book and to my blogging pals who will be sharing recipes with you in just a couple weeks! I am so humbled by the positive feedback I’ve been getting, and it means the world to me to share it with you. There wouldn’t be a cookbook if it wasn’t for all of my readers who have followed along on my blog and supported me over the past four years. OMG this is so great! You look beautiful, great job! Julianne, what a gorgeous book – congratulations on your fantastic success! Congratulations Julianne!! I cannot wait to receive your awesome cookbook — I ordered two so I can give one for a gift. Thank you so much Joanne!! I love that. Oh my gosh! I have always loved your blog, but after reading this post and watching the QVC clip, I clicked on the Amazon link and ordered your book right then! Congratulations on your already huge success! I am delighted for you and I can’t wait to get my new cookbook!!!! Wow Vicki! That means the world to me, thank you so much!! I truly appreciate the support. Don’t forget to enter the giveaway for the Wilton prize pack, and you can also sign up to receive a signed sticker to put on the inside of your book. Hugs my friend. Thank you so much Trisha! This was my first time on TV and I was definitely nervous! I am just so excited to share this with everyone. Congratulations! You did a great job and you looked terrific on QVC! And how exciting for you to see your cookbooks sell so quickly!! I ordered mine a while ago and am eager to get it into my hands and start making something!! Happy Fourth of July!! Thank you so much Misha!! I was shocked that I actually pulled it off, haha! If you haven’t done so already, be sure to enter the giveaway for the Wilton Prize pack! Hugs and I can’t wait for you to see the cookbook! I watched, ordered and was so disappointed that I had to wait so long to get the book. Everything looked s good and David’s reaction was great. Hi Bernadette, I totally understand! I wish it was shipping now too, but only two more weeks! Be sure to enter the giveaway for the Wilton Prize pack if you haven’t done so already!